Information. It is ever present in our daily lives and many of us are barraged with it. Yet it is very hard to respond to the question what precisely information is. 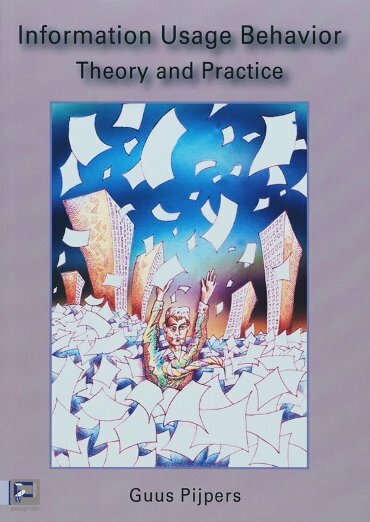 This book focuses on what it really is, what the characteristics of information are, and what current practice is. Also, a number of measures are identified that can help you in becoming truly literate and productive with information. These measures are not only aimed at your personal level, but also at your organization and your private life. Even technology, often the cause of too much information, can help you being productive with information. Yet the most important measure is about you: changing your information behavior often requires a change of mindset. To be informed means to inform others and be truly open to information sent by others. The book is aimed at anyone interested in information and how it relates to our personal lives, our organizational situations, and what technological issues are at stake. No technical discourses have been included. The main objective throughout the book is a thorough examination of information from a theoretical and, above all, a practical point of view. Guus Pijpers is author/co-author of several books and a large number of articles, published in renowned journals and magazines. He is also an acclaimed speaker at international management conferences and seminars. He is teaching about information usage behavior at postgraduate courses and Executive MBA institutions.